Alucard301 wrote: Many have leveled without blossoms it’s no big deal. I actually like the fact they are doing this finally. It’s just weird they are calling it a bug when it’s been well known for while. Maybe because they are busy with the unity update to focus on much else probs. That's the way otm and VR seem to function. As soon as something makes it easier for players, they call it a bug and tweak it. xXzeemXx wrote: This comment will probably get removed but i’m sorry i’m calling bs. It has been what? 4-5 months now? You’re telling me it took you that long to realize it’s a “bug”? Correct. Leveling isn't even challenging. But it is mind numbingly dull and repetitive. It's sit on your couch and mash buttons repetitively on reskinned mob after mob after mob. Finally the game gives something else that can be done besides the same tired thing and after months it's suddenly a bug. There are so many things that need tweaked and fixed and this is what the company chooses to focus on. Last edited by Thefreeze on Wed Oct 17, 2018 6:37 pm, edited 1 time in total. Lol this game is as good as dead makes me somewhat glad I’ll be choosing to remove myself from this game completely. 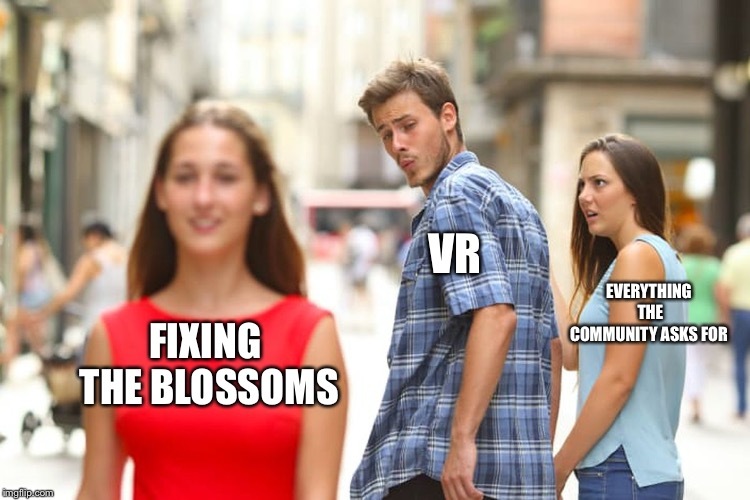 Like many others have said VR said they can’t fix droprates/bugs but the second they caught a wiff of a quest that gives players the ability to do something positive without the purchase of plat they remove it. Kiwi Puff wrote: Was great while it lasted... nerf 4* vine too plz ty. Nothings wrong with a small joke relating to the topic. It’s not bad enough to get it locked.